Productive conversations lead to strong and sustainable relationships and better outcomes for everyone. Our masterclasses are designed to help you have even more meaningful conversations, making interactions more deliberate and more productive. Participants will discover new skills and then put them into practice in a positive and supportive environment. They will leave with a winning game plan to build confidence and courage to successfully tackle difficult conversations. We would love to design a bespoke programme for you that addresses specific challenges that your team are facing, or you may wish to choose one of our signature masterclasses such as the one outlined below. 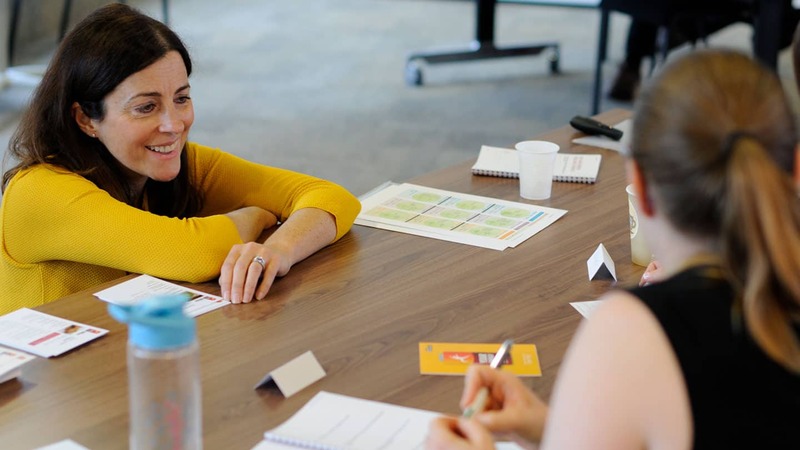 This high energy and practical masterclass will offer a range of tools to enable you to maximise your conversations. We provide real life examples that relate to your work and business and help you to engage in productive conversations. This 1 day masterclass is highly active and participative. During the programme participants receive one to one feedback and coaching around their communication style and the impact it has on others. Where appropriate we use psychometric profiling on this course to help increase participants’ self-awareness of their communication style. When appropriate for the client we use specialist business actors and role play facilitators, who can add great value to a workshop. We all need to communicate and for exceptional performance we need exceptional conversations whether that’s within our teams or with a client. This programme is ideal for anyone wishing to improve their conversation skills and build the confidence for courageous conversations.